One of the worst nightmares of anglers is to see “the big one” swim away confidently with a lure in its mouth. That’s why every committed angler should use one of the best spinning reels for fishing. Solid spinning reels have incredible power, which enables them to catch the big game with much ease. They also have enough ball bearings and even feature anti-reverse bearing to ensure that you enjoy a smooth operation whether you are fishing on saltwater or freshwater. 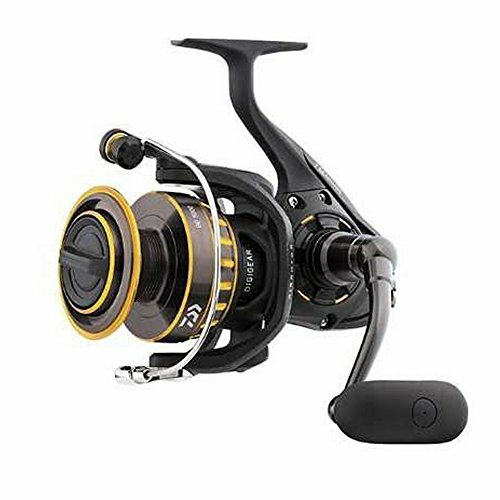 In this article, we will not just provide you with reviews of the best quality spinning reels for fishing but also we will let you know which factors to have in mind when choosing one. So, stay put. Adventurous anglers should consider this spinning reel for fishing. It is durable and powerful enough to withstand the most punishing saltwater battles. Well, its ability to deliver a stunning performance in harsh saltwater conditions is the watertight design. 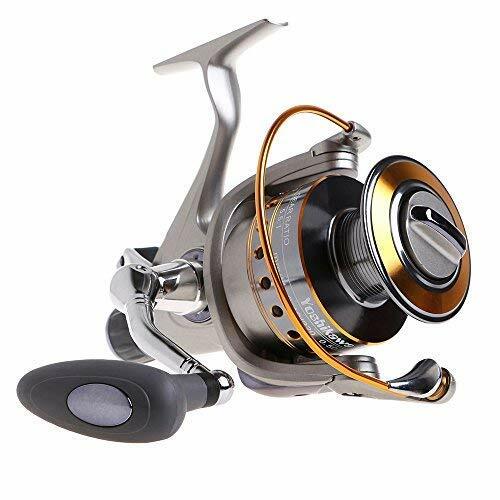 Furthermore, this fishing reel has 5 ball bearings made of stainless steel and working with the anti-reverse bearing to allow for fluid cranking. The fishing reel also features friction trip ramp for long-distance, accurate casting. Plus it is equipped with HT-100 Slammer drag system that offers exceptional drag range as well as ensuring smooth operation. It is great for use with Spiderwire or Berkley Superline. The fishing reel works great and delivers when needed; thanks to its durable construction and techno-balanced rotor not to mention the heavy-duty aluminum wire. We are positive that you will find it to be a great purchase, based on the performance it delivers. What’s so amazing about this spinning reel for fishing is that every part has been engineered to help improve the experience of anglers. Besides, we are thrilled with the fact that this spinning fishing reel uses the latest technology without forgetting the exceptional ways of the past. Moreover, SHIMANO combines the HAGANE drive gear with X-SHIP to make this reel for fishing not just durable but also powerful and smooth. The manufacturer has also equipped this reel for fishing with a sleek G-free body. The body offers a better balance, thereby, reducing fatigue. For this reason, you will be able to use the reel for long hours. 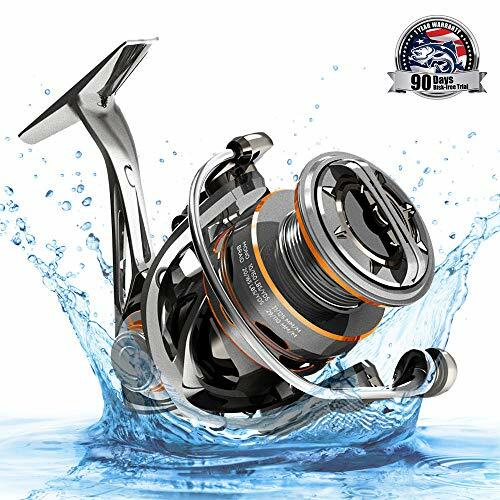 Other features that make this spinning fishing reel get a slot in these reviews are the built-in Dyna-Balance rotor, Fluidrive II system, and the manufacturer’s Propulsion Line Management System. They work together to provide the reel with outstanding smoothness and casting capabilities. SeaKnight is a modern company that was founded in 1983. 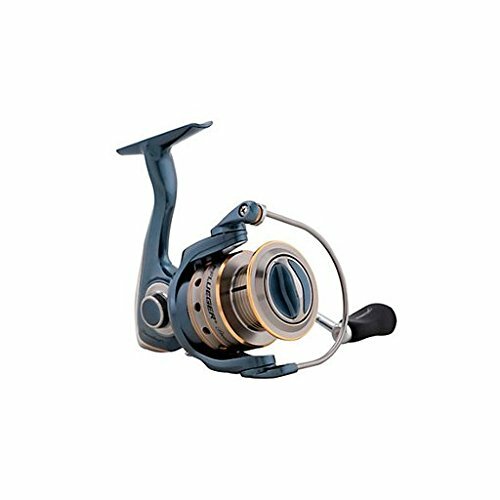 Having said that, it provides its customers with top quality products like the SeaKnight 6.2:1 Spinning Reel. 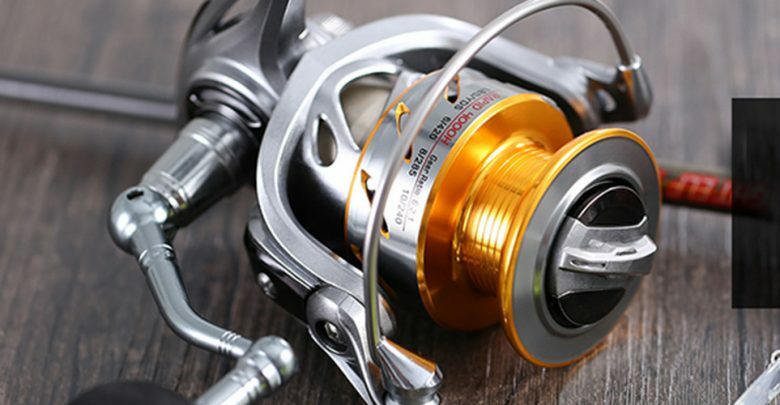 Designed with an anti-corrosive coating, the spinning reel for fishing is the best bet for anglers who like fishing in saltwater. It can be used for freshwater fishing as well. This versatility is as a result of its durability, strength, and pace. The reel is great for inshore fishing, as well as for fishing of Bass, Walleyes, Northern Pike, Stripers, and Catfish. It is incredibly smooth because of its advanced production technologies and top quality 10 + 1 shielded ball bearings. With it, you will be able to catch the largest gamefish you have ever seen; thanks to its enhanced thicker main shaft, a carbon fiber drag system, and stainless steel ball bearings. If spinning reels for fishing were to be ranked in order of ease of use, then this one could have scooped the number one slot. It is equipped with the Baitfeeder Drag System that offers a 100-percent free-spool mode with just a flip of the small lever found on its back. The system allows free-running line minus opening the bail, which will help you fight big fish with much ease without damaging your fishing gear. The system also brings a more accurate and wider drag adjustment. 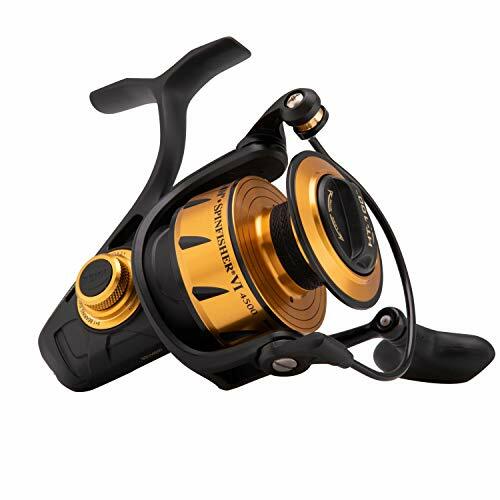 This reel for fishing is constructed with a corrosion-resistant material, which is TITAN graphite. Plus its components are well made. For example, the shaft is made of stainless steel, the spool is constructed with strong anodized CNC aluminum, and the foldable left-right interchangeable handles are made of aluminum. This strong build quality makes the reel great for both saltwater and freshwater fishing. To catch that big game you have been dreaming of, you need a powerful spinning reel for fishing like this one. It is made of a durable yet super lightweight graphite frame. Because of its durability, the graphite frame easily stands up to tough saltwater conditions. 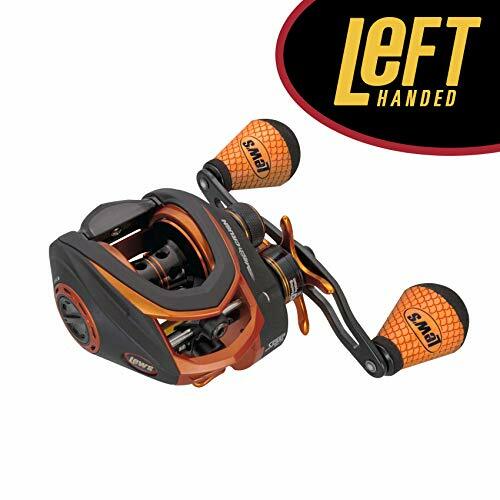 Another unbelievable feature this trolling fishing reel has is the Quick Shift 2-speed system that effortlessly shifts between low and high gears to provide you with the results you are looking for. 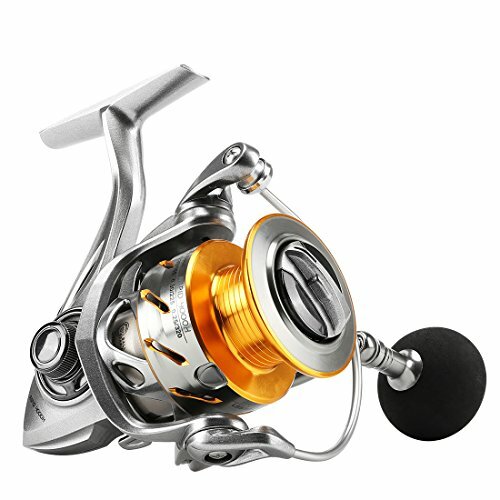 The fishing reel is also equipped with 4 stainless steel ball bearings, which work with an anti-reverse bearing to ensure fluid cranking. Its Dura-Drag system offers outstanding power and smoothness. Although the price of this fishing reel is somewhat on the higher side, it is worth it. So, go for the reel knowing that it has all the features you are looking for. Loaded with a number of great features, this spinning reel for fishing will no doubt provide you with the results you are looking for. It comes equipped with a top quality ten-bearing system that has double-shielded ball bearings as well as Zero Reverse one-way clutch bearing. Having said that, expect this spinning reel to operate smoothly. Furthermore, this fishing gear is made with durability in mind, considering that it has a double-anodized spool tension adjustment made of aluminum and featuring audible click as well as a rugged drag system made of carbon in order to be strong enough to offer up to twenty pounds of drag power. Despite being extremely strong and durable, this reel is very lightweight to ensure that you are able to use it for long without feeling fatigued. It is size 7.5:1 and comes in two color options, which are LH and RH. Its other features include a quick-release sideplate lock lever, external lube port, and zirconia line guide. If you are on a budget but still want the best quality spinning reel for fishing, consider this unit. It is affordably priced yet it has all the features found in those expensive units. It is equipped with 12+1 super high precision ball bearing that enables it to operate smoothly and conveniently. The reel also has a wire cup made of an aluminum alloy not to mention featuring internal components made of metal. For this reason, it will provide you with a solid, consistent performance year in year out. As if that’s not enough, the handle of this reel is made of 100-percent metal, and this means it is much stronger than most handles. 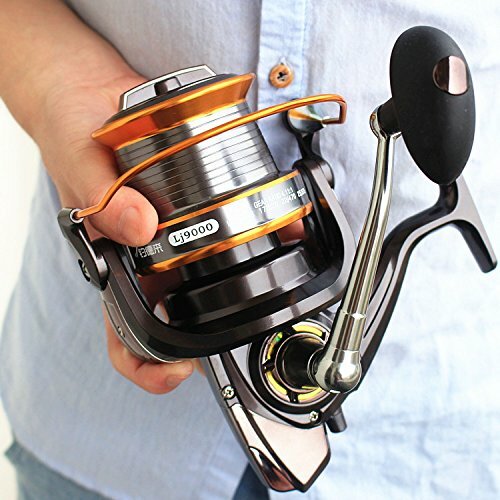 Given its build quality, this fishing reel makes a great buy for professional anglers. It is worth considering because it will not force you to go deep into your pocket yet it delivers results that can only match top quality brands. Anglers who have tried out this spinning reel for fishing all agree that it should be up there with the top brands. This is because it delivers superior durability and smooth drag, which anglers demand. In other words, the fishing reel provides anglers with a class-leading performance at a great value. It has 9 stainless steel ball bearings that work with the instant anti-reverse bearing, which offers improved crank control. Because of these two features, expect the spinning reel to provide you with a smooth operation. It is built for years of use. And this is clearly proven by the aircraft-grade aluminum handle as well as graphite body and rotor. The graphite construction offers unrivaled responsiveness without putting rigidity into question. By so doing, it prevents the reel from flexing or giving out when subjected to extreme pressure. 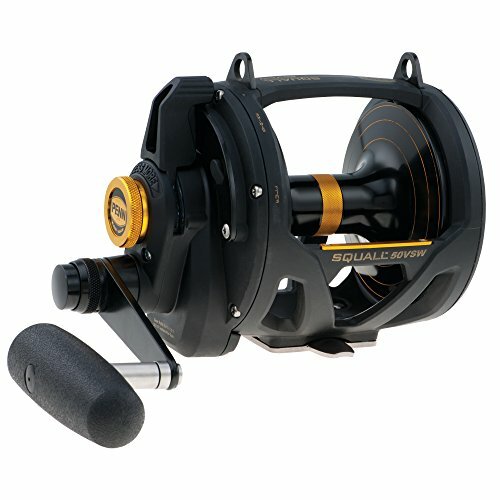 There is also a multi-disc drag system that gives this reel exceptional pulling power. We have been convinced by the numerous features this spinning reel for fishing has. That’s why we are 100-percent certain that it will really be handy for your needs. It has a corrosion-resistant magnesium frame, which shows that it is built to last. In addition, it features 9 ball bearings and one instant anti-reverse bearing. It also features a carbon composite rotor and a side plate. 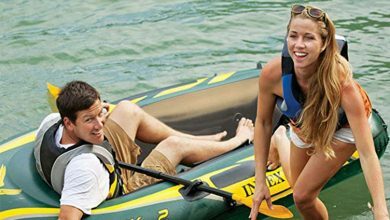 Plus it comes equipped with a strong carbon fiber drag system that gives it the strength and power to pull the big game from saltwater. The materials used to construct it are top quality and sturdy enough to enable it to deliver exceptional performance for years to come. Like any other Cadence product, this fishing reel comes with a 1-year warranty as well as a best-in-class customer service team. This means you will have the smoothest experience using it. Last but not least, we bring you the Daiwa BG Spinning Reels. Like the other nine spinning reels for fishing on this list, the Daiwa Spinning Reels for fishing work as expected. This is because of several reasons, which include, one, being the product of a dedicated manufacturer. They also have all the features found in top quality spinning reels. One of these features is the lightweight air rotor design that is very easy to operate because of the lightweight construction. 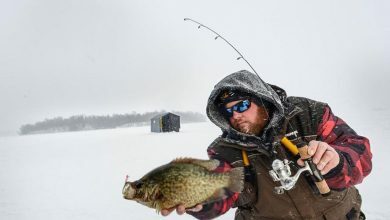 Another stunning feature that makes these fishing reels get a place on this list is the HardBodyz body, which proves that they are designed to last. Daiwa knows that the needs of anglers vary. As such, they produce reels that can be used for ultra-light freshwater action as well as heavy big game saltwater. 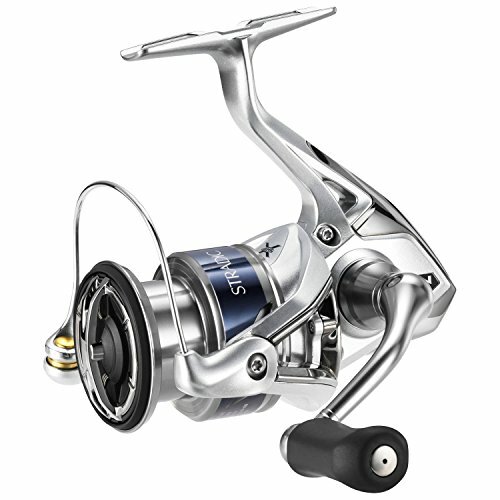 The fishing reels are available in a number of sizes including 14.1 – 38.5 and 14.3 – 39.9. With the factors listed below, choosing the best spinning reel will not be a problem. A heavier spinning reel is likely to exhaust your hands and arms not to mention stressing your joints. This means when you have one, then your chances of fishing for long hours would be limited. With that in mind, consider spinning reels that are lightweight. A good spinning reel for fishing should have a proper drag system. This is because a drag system that works great will let the line out while you are trying to pull the big one out of the deep waters. In simpler words, a high performance drag system will help improve your fishing experience. Some spinning reels for fishing are meant for saltwater fishing, while others are for freshwater fishing. Saltwater spinning reels are corrosion-resistant and to, some point, more powerful than those designed solely for freshwater fishing. This is because saltwater has harsh conditions not to mention harboring more big game fish. Whether you are buying a fishing reel for saltwater fishing or freshwater activity, a strong build quality is a must. For this reason, try to settle for a reel made of durable materials like aluminum and magnesium. Can reel parts be bought? Of course, yes. There are a number of fishing companies that sell reel parts. All you need to do is to visit the Internet to know more about them. Why buy a spinning reel? Using a spinning reel to fish is much easier than using other fishing gear such as baitcast and spincast models. A spinning reel has more control, and it is loaded with great, numerous features for an amazing fishing experience. How do you use a fishing reel? Hang your spinning reel below the rod. And then flip a bail wire to release the line from a stationary spool. The line will propel forward due to the weight of the lure. Choosing a solid spinning reel can be quite arduous even to the most experienced anglers. But with this article, expect to have a great time settling for what will meet all your needs. Here, we have started by reviewing the best-selling spinning reels on the market. After that, we have talked about the factors to have in mind when choosing a spinning reel. We have then concluded our research with the frequently asked questions. This means by the time you are done reading this article, you will be a pro at settling for the best!